This report is made using the sidereal Babylonian zodiac, as used 5000 years BC in ancient Mesopotamia, depicting and mirroring the real situation on the sky, and not the tropical zodiac that is used by almost all contemporary astrologers showing distinct astrological reality with a difference of 24°. America’s politics and destiny is having an impact on the whole world. That is why such analysis is of a great importance. When starting such a review, we should take into consideration a very important ancient rule of Mesopotamia valid also nowadays: the beginning of every cycle is determining and characterizing the complete cycle. This means that we should look very carefully at the planetary configurations at the beginning of the cycle or epoch in order to predict how globally and financially the year or the month will look like. 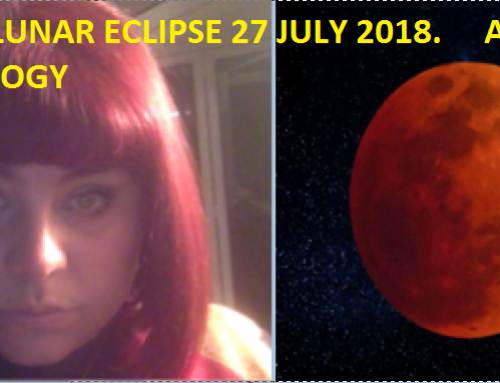 Therefore, the precession and the positions of the equinoxes and the solstices and their movement through the centuries on the birth chart of America will be our departure point starting with the first large era, when the equinox is changing sign, entering Pisces and leaving Aries*. Now the spring equinox is in the 5° Pisces and entered it in 221 AD. This was a change of epoch. Aries was replaced by Pisces. Like elsewhere in the world, also here this was the time of the Greek-Roman influence and the emergance of the christianity. 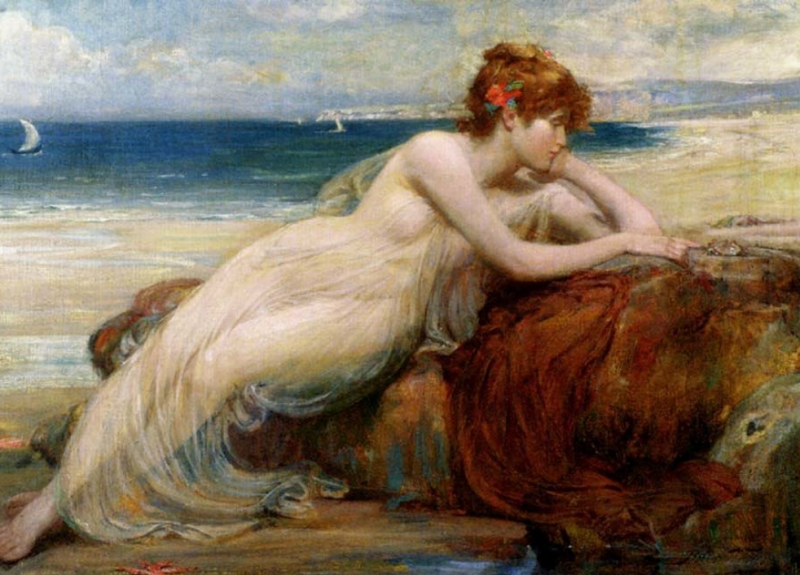 What else could possibly Pisces bring? 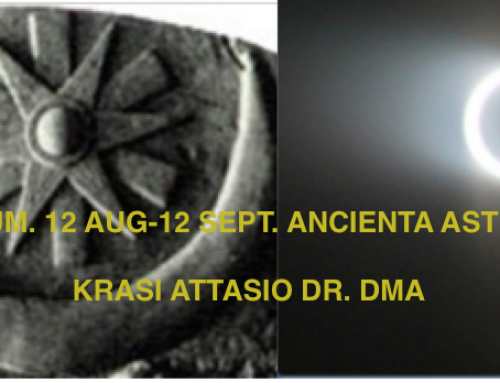 The second epoch or mini era that is important for this analysis is the beginning of the era of Aries. What does this mean? 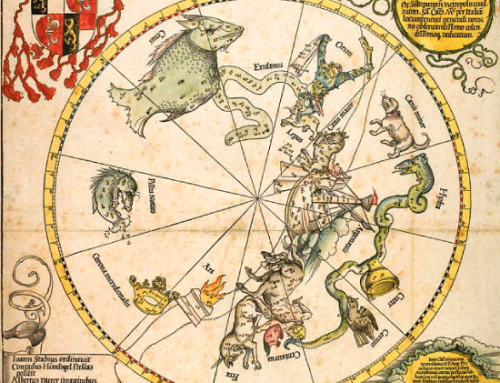 Every astrological sign is devided into 12 equal parts each 2,5° called dodecatemoria. Each degree of the sign equals 72 years and each dodecatemoria equals 180 years respectively (72 x 2,5°=180). Every 180 years the spring equinox is moving and is changing dodecatemoria. Every dodecatemoria has a ruler who is having significant influence on every single world event and evry person. In 2016 the world moved from Taurus to Aries** dodecatemoria, because the spring equinox moved from the 5° to the 4°59’ in Pisces and with this entered the Aries era. This signifies the start of problems all associated with Mars-migration of people, conflicts, deseases, wars, problems of all kinds all over the world, for every person on Earth more or less. This is the 1st Nisan*** of the point when the change of dodecatemoria took place for the USA. In 2016 America and the world entered a new Aries mini era that will continue around 180 years long. Leo is rising with Jupiter in cosmic setting, which is not beneficial for Jupiter, making opposition to the Sun, Venus, Neptune, and the invisible Mercury. Jupiter rules the moral values and religion. Being in cosmic setting and receiving the above mentioned oposition, I expect the coming Aries era to be one of violated moral values of the people through the interference of politics and legislations that will be harming them continuously. 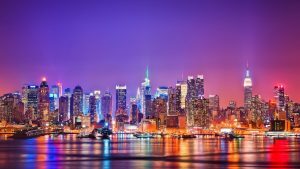 The conjunction of Saturn and Mars and the fixed star Antares in the 4th house in Scorpio is promissing problems on the real estate and collapses and volatility on the financial markets. The two malefic planets will be causing troubles to the government and the ruler as they afflict the Sun in the 7th house. Rigel, the fixed star of money is on the Meridian. It still will provide some financial benefits to the country. Since Mars is ruling the era, we cannot expect quiet times of peace and harmony. We continue to narrow down the eras to reach a very significant for us now one, the point of the spring equinox of 2017 or 1st Nisan in Mesopotamia. 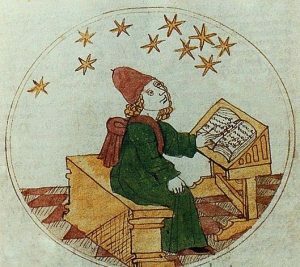 The horoscope of the 1st Nisan of 2017 will describe the complete 2017. 1st Nisan or 27th february 2017 is a day ruled by Nergal**** or the contemporary Mars. This is not a very positive and promissing start of the year. We are in a martian dodecatemoria and Mars will be ruling the whole year. This can bring conflict and disharmony of any kind. Leo is rising again. 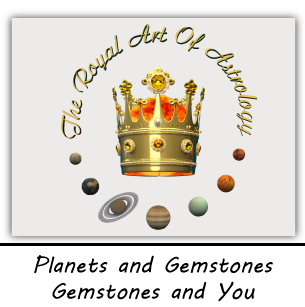 The ruler of Leo is the Sun and is opposing the ascendent and conjoined with Neptune and the invisible Mercury. The 7th and the 6th houses are ruled by Saturn and all these would mean that the president will make some efforts to negotiate and make changes in the working environment, public health, and the military services with small or no result due to the aspect of Saturn. Mars in conjoined with Venus and the waxing Moon are in the 8th house where the spring equinox point is and they receive disharmonious aspect from Saturn and an opposition from Jupiter. This is a very important planetary configuration and I expect that it will bring troubles and losses on the financial markets. The financial relations with other countries might also suffer. This chart is very important, as we will compare it with the previous chart of the 1st Nisan to see how they fit together and to find out to what extend the potentials that are encoded in the year will be accomplished. 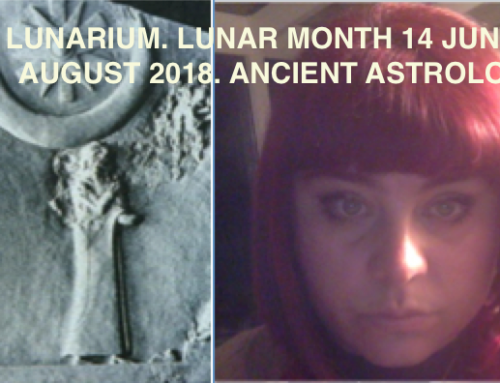 Aquarius is rising and is receiving an aspect from the Moon and Saturn that are conjoined to an exact degree in Sagittarius in the 11th house. Saturn rules the ascendant and the 12th house of the secret enemies of the country, the secret societies, the weak, the infirm, those that need charity. I think that those groups of people will suffer the most in 2017. They might be manipulated by a secret force to revolt and create chaos. The 2nd house is ruled by Jupiter and Venus, the Sun and Mercury are there strong and in a visible evening phase receiving the Jupiter opposition. This is another indication of the increased costs, financial losses and even bloated national budget. There is not a good harmony between the charts of the 1st Nisan and the spring equinox of 2017. Therefore, I do not expect that the plans and the potentials of the year will be fulfilled. Jupiter is retrograde or in cosmic setting phase in all charts of the eras that we are analysing. Same as in the natal chart of Trump. The place of Jupiter is in the financial places of the horoscope. Therefore, I expect that the planet will grant him some financial success for the country but with unstable and mutable results. 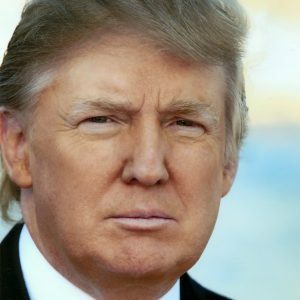 Money will be very much the dominant of his presidency as the year starts with an annual horoscope of Virgo rising and Jupiter in the rising sign as seen also in the natal chart of Trump. The national services will be given very special attention but the trading and economy plans of Trump will not be completely fulfilled as Mercury and the Sun are opposing his natal Mercury and Saturn. 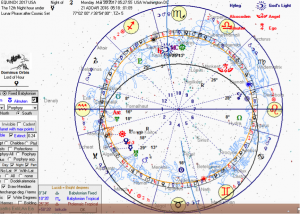 Analysis of the chart of Russia for the 1st day of 2017 with Virgo rising and Jupiter on the rising sign shows good intentions for establishing warm international relations especially with America. 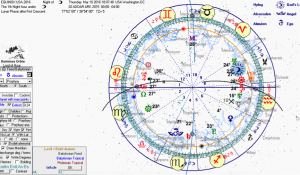 There is a good potential to do that taking into consideration the natal Saturn on America’s horoscope who is conjoining with Jupiter on the annual chart of Russia. This potential warming will lay purely on financial and trade benefits between both countries seen from the position of Mercury. The comparrison between the horoscopes of Putin and Trump makes me think, that there is a hope for future warmer collaboration between both presidents and countries. 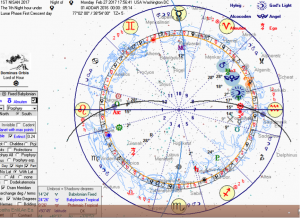 The chart of the 1st Nisan for America for 2016 for the new era of Aries gives me similar thoughts, but without any doubt the opposing forces will be so many and so powerful, that this international relations will not reach their full potential. Most of the promisses Trump has given during his presidential campaign will not be kept due to the interference of forces that will not allow him. 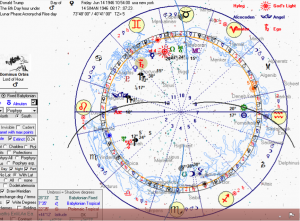 This is seen from the position of his Leo ascendent in the chart of the 1st day of 2017. The analysis of the charts of the epochs and the mini eras on american territory led to the conclusion, that very little part of the potentials encoded in the natal chart of the USA will be achieved. The reasons are complicated and contradictory, but mainly as a result of secret and opposing powers. No doubt that Trump will have a difficult and controversial presidency full with conflicts. This is also seen on the natal chart of America and the transiting Saturn who is oposing the Sun that rules the 10th house of the king or the president. Almost three very difficult years will follow for him and the american nation. **and*The precession is moving opposite the direction of the zodiacal signs, from Taurus to Aries and not the other way around. ***In ancient Mesopotamia the year used to start with the 1st Nisan- the first Moon crescent after the spring equinox. This was the most important night (not day) of the year. ****Nergal is the mesopotamian God of the netherworld. He is responsible for the wars, epidemies, plague, and conflicts. He is associated with Mars. What’s up,I log on to your blog named “Astrological prediction for 2017 for the United States. 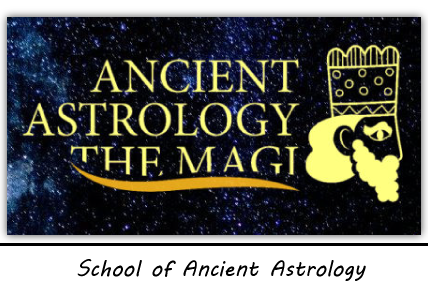 Travel through the epochs of America – Krasi Ancient Astrology” on a regular basis.Your story-telling style is witty, keep it up! Hurrah! Finally I got a blog from where I be capable of actually obtain helpful data concerning my study and knowledge.